The formula's effectiveness lies on the remarkable power of Gaspé Algae Extract. A survivor of harsh environments, the Gaspe algae has developed a highly efficient resistance system, enabling it to thrive in severe conditions. Its extract guarantees the skin's global hydration, transforming it into a veritable defensive shield. Taking care of your skin is one thing; you can drink lots of water, exfoliate, cleanse, tone but did you know that the weather can play a toll on your skin? This can cause your skin to feel dry, stiff, and sometimes itchy. Not cool, right? In this case, moisturizing is key! 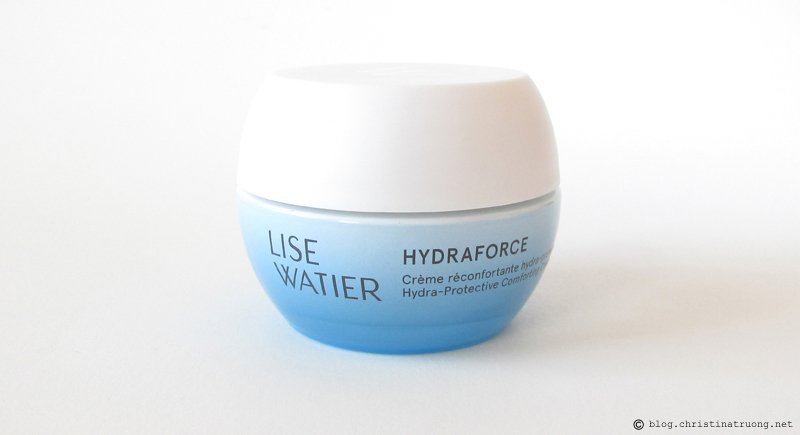 Sure, any moisturizer will do but Lise Watier HydraForce was created to hydrate the skin in all weather condition, even in the most extreme cases*. *Performed under extreme laboratory conditions: 38°C and 30% relative humidity. The Hydra-Protective Comforting Creme has a very lovely scent. I'm usually not a huge fan of floral scents, but I didn't seem to mind this mild scent of water lotus. Once applied, the cream set in quickly and left my skin feeling very hydrated and smooth. But was my skin hydrated? 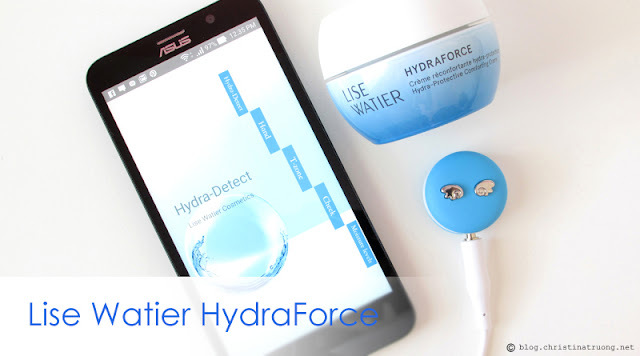 I got the chance to really see if my skin was well hydrated by using a Smart Skin Detector. Below is the Hydra-Detect app and the skin moisture level chart, showing where skin sits in terms of hydration level. 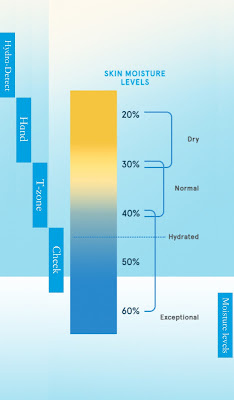 I plugged in my Smart Skin Detector and began testing the hydration levels on my hand, t-zone, and cheek. 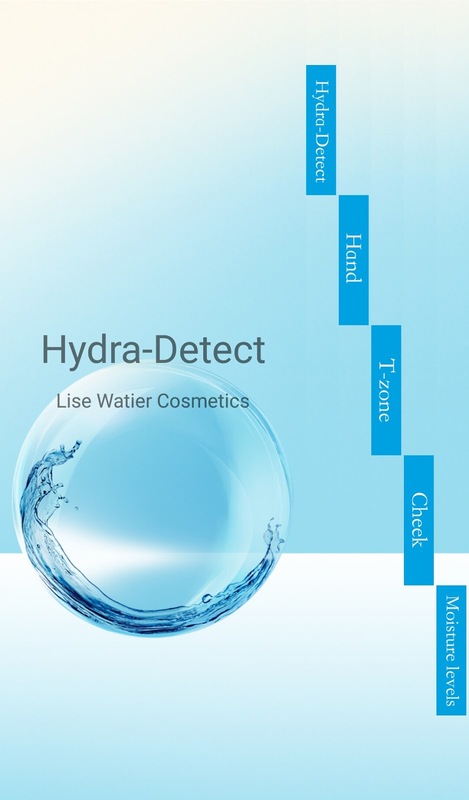 I used the Lise Watier HydraForce cream and tested my hydrating levels over the course of two weeks and the results were outstanding! On Day 1, I went ahead and tested my skin as is, without applying the product. My skin was in the "normal" range, so that was a sigh of relief. Then I applied the product and gave it another test. This time, the results almost doubled. Throughout the two weeks, my skin hydration level fluctuated but not drastically, it still remained above 60% and I really felt that my skin was well hydrated. The 3 screenshots above is where I tested the hydration levels of my hand, t-zone, and cheek. 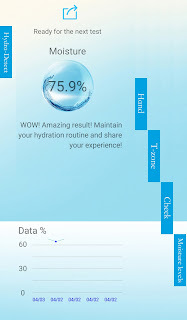 Once tested, it informed me how hydrated my skin was, and the Data % chart, graphs the results. As you can see in the last few days* of testing, my skin's hydration level was through the roof, as the graphs weren't even shown in the chart. Talk about exceptional results! *Please excuse the misleading dates shown on the chart. The app didn't seem to calculate the correct date, it should read 04/04... 03/31. Disclaimer: Products complimentary from Glam Sense for testing/review purposes. Views expressed are of my own.